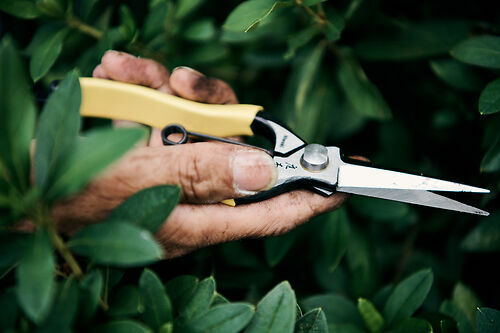 Hard wearing, heavy duty snips for careful, detailed pruning and other jobs in the garden where secateurs are too large and clumsy. Hand forged in Sanjo, from KA70 carbon steel, with a solid, chunky catch at the bottom and a robust spring. Used in Japan for pine pruning and other intricate work - use here for dead heading, flowers and light pruning, but not for heavy stuff. Niwaki Tip: Clean. Keep them clean.